Fans of metroidvanias will be getting a new game to sink their teeth into soon enough. A new trailer shows off what you can expect from the story and gameplay. I last took a look at Timespinner [Official Site] a few months ago when a backer-only beta had been made available. I enjoyed my time with that build and recorded a fair amount of footage of it running on Linux and was even able ask the developer about his experience porting the game. Given that I'm a sucker for metroidvanias and good retro-inspired music and art, it should be pretty obvious that I've been excited about this one for a long time. 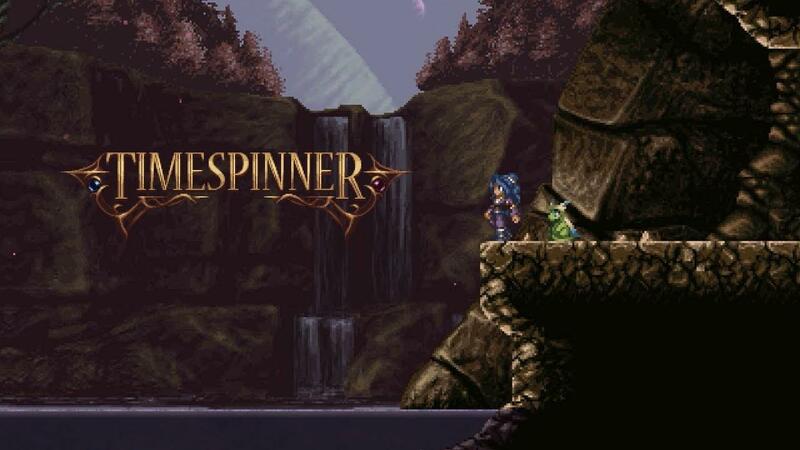 Timespinner places you in the shoes of Lunais, who is part of a tribe that has been resisting a powerful empire that is intent on conquering them and seizing the ancient Timespinner device. It's a story-driven adventure and mixes in abilities that are able to affect the flow of time. Traveling between different periods in time is also necessary to fully explore the maps and game. As these stories seldom are quite so straightforward, it'll be interesting to see how the story plays out and whether or not the gameplay mechanics make for an interesting experience. I’ll likely have thoughts up of the game when it releases on September 25th, as backers and press have been given access to a full release build ahead of time. Looking forward to your review, BTRE! I didn't think "retro" style gaming would find a second breath and interest from gamers. I'm absolutely interesting by this game. This looks pretty good. I'll keep my eye on it. Because I don't have enough games already.